Drs. Matt O’Neal and Erin Hodgson created a podcast to promote IPM concepts, like identification, sampling, economic thresholds, and insecticide efficacy. They also talk about updates on invasive pests and regulatory news, and translate new research relative to insects in agriculture. Farming for yield or profit? In the first episode of 2019, Matt and Erin wax philosophical about IPM. The conversation wanders around profitability, durability, and sustainability of corn and soybean farming in Iowa and beyond. Is now the time to think about re-establishing IPM into farm as new technologies emerge? (S9:E1): Don't call it a comeback! The Soybean Pest Podcast is alive and kicking again! Matt and Erin had a long winter's nap but started Season 9 with a good conversation about new students and research, Bt soybean in the U.S., some upcoming events and recent pest activity in Iowa. Monsanto not pursuing Bt soybean in the U.S.
2018 Pollinator Fest is 23 June! Matt's latest F.I.T. 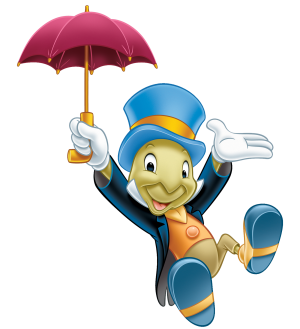 (fun insect trivia) is related to the Little House on the Prairie. Matt and Erin just got back from the Annual Entomological Society of America meeting in Denver and their brains are full! They summarize some of their favorite presentations and other highlights from the meeting. Specifically, Matt enjoyed a presentation by Cornell student Maxwell Helmberger who used entomopathogenic nematodes to manage grubs in turf. Maxwell has a YouTube channel with some fun animations! (S8:E14): Who lives in an insect coffin? Today, Matt and Erin take a major detour and talk about an art exhibit that features fantasy coffins. 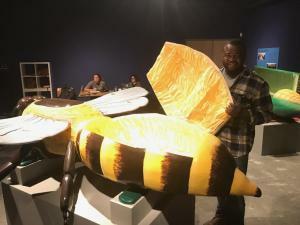 Matt visited with Eric Anang, an artist-in-residence at the University of Iowa. Erik's family is from Ghana and they have a tradition of building fantasy coffins designed to reflect unique personalities. 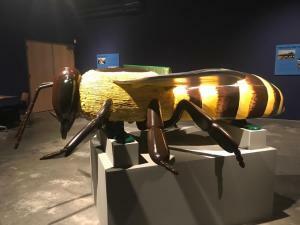 He recently was interested in the decline of insects, particularly lightening bugs, in his native area and that sparked the idea for this exhibit. You can see the exhibit at the Blackbox Memorial Theater at U of I now and can hear Matt give a seminar on October 26. Today, Matt and Erin cover a wide range of topics. First, there are two entomologists interviewing for ISU president: Sonny Ramaswamy and Wendy Wintersteen. But the conversation is quickly diverted into talking about why entomologists make good leaders. Matt has another F.I.T. that includes a reference to Hogwarts. Tom Saunders named a new parasitoid wasp species after Lucius Malfoy, a character in the Harry Potter series. The new wasp was named Lusius malfoyi. Erin asks Matt about fall nuisance invaders around Ames, including multicolored Asian lady beetles, minute pirate bugs, and brown lacewings. Erin gives a shout-out to an insect-related podcast, Arthropod, from the University of Nebraska-Lincoln. This interesting series goes in-depth on insects and closely related species (e.g., painted lady butterflies and brown recluse spiders). Lastly, they are spreading the word about a fundraiser for BugGuide - help them meet their goal of $15,000! Matt and Erin talk briefly about resurging soybean aphid populations around northern Iowa. In some fields, aphid numbers have increased as fields reach full seed set. They also talk about 2 videos of potential interest to everyone. The first video shows off the extremely high numbers of mosquitoes in Texas due to Hurricane Harvey. The second video talks about the importance of Bt resistance management of insects. Finally, Matt shares a F.I.T. and art at Iowa State University. Matt and Erin took a short podcasting break but are back to summarize late season soybean pest activity. Erin talks about a slight resurgence of soybean aphid populations in northern Iowa. Read more about treating at full seed set in a recent ICM Blog. Erin also recommends scouting in late August/early September for second-generation bean leaf beetles, as feeding injury to pods and seeds could be significant. Matt has noticed perhaps early field senescence in some commercial fields in Iowa. He also took a trip to Mississippi to see soybean production and learn more about pollinator protection. This podcast also features a F.I.T.! Today, Erin is without her podcasting bestie, Matt. She summarizes the activity of a few field crop pests in Iowa. First, she mentions Japanese beetle is active in soybean now and will move to corn with the emergence of silks. There are also European corn borer egg masses and small larvae in non-Bt corn now. You can access a free publication to learn more about scouting and management of ECB. Erin also gives an update on thistle caterpillar and soybean aphid from the last episode - both pests are still active right now. Finally, she highlights potato leafhopper as an occasional pest of soybean and alfalfa. You can register for some upcoming demonstration events at FEEL for July 12 (Diagnostic Clinic) and July 13 (Management Clinic) right here.